Approximatley 1900 sq. ft bungalow with a two car garage. 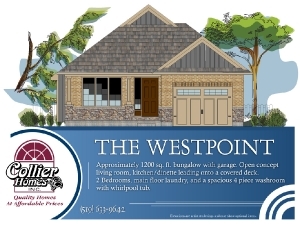 Features main floor laundry with an open concept kitchen /dining and great room. Master bedroom with a spacious ensuite as well as two additional bedrooms accompanied by a four piece bathroom. OPEN HOUSE - 1-4pm Sat-Sun. 1 Oakmont street, St. Thomas. 1705 sq ft bungalow with garage. Open concept kitchen, Dining room and great room. Two bedrooms with main floor laundry. 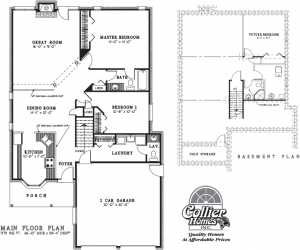 4 piece main bathroom with a walk in closet and ensuite bath in the master bedroom. Basement Finished with 4 piece washroom, bedroom and rec-room. Approximately 1300 sq. ft bungalow with garage. Kitchen/dinette leading on to a covered deck. Side door entry leading directly to basement. 2 bedrooms with a spacious four piece washroom. 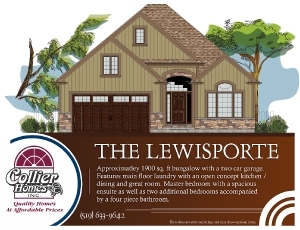 1708 sq ft bungalow with garage. Open concept kitchen, dining room and great room. Main floor laundry. Three bedrooms with a 4 piece main bathroom. Master bedroom has a walk in closet with a very spacious ensuite washroom. 1705 sq ft bungalow with garage. Open concept kitchen, Dining room and great room. Two bedrooms with main floor laundry. 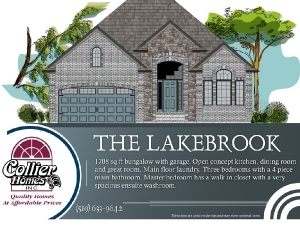 4 piece main bathroom with a walk in closet and ensuite bath in the master bedroom. . Approximately 1379 sq. ft. bungalow with 2 car garage. Open concept kitchen, dining, and great room. 2 Bedrooms, 2 washrooms, and main floor laundry. Approximately 1200 sq. ft. bungalow with garage. Open concept living room, kitchen/dinette leading onto a covered deck. 2 Bedrooms, main floor laundry, and a spacious 4 piece washroom with whirlpool tub. Approximately 1336 sq. ft. bungalow with garage. Open concept living room, kitchen/dinette leading onto a covered deck. 2 Bedrooms, main floor laundry, main bathroom and a 3 piece ensuite.